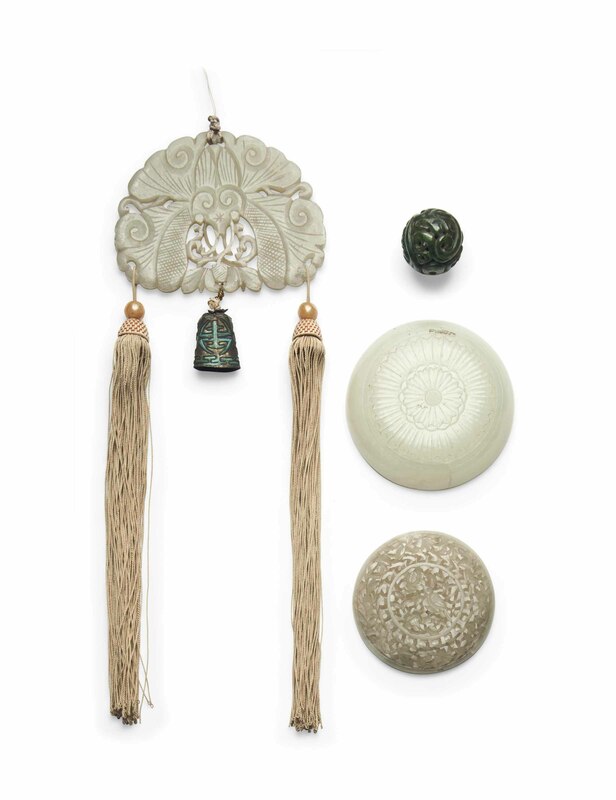 The first is a carved and pierced celadon jade butterfly plaque with tassels. The second is a celadon jade circular plaque carved and pierced with a bird amongst flowers. The third is the cover of a circular box carved with a flower head in pale celadon jade. The fourth is a spinach green jade carved and pierced bead.